Yo, BID readers - there have been a lot of odd mobile-phone apps launched ever since the device became ubiquitous. One of the strangest, we think, is called Yo. This app started in 2014 with one basic function: It allowed the user to send the word "yo" to a friend. The app promoted itself by urging "Wanna say 'Thinkin' 'bout you' to your love? Just Yo. Wanna say 'Are you up?' Yo." Despite a variety of people calling the app "terrible," within months it had millions of users and 100mm Yo's had been sent. 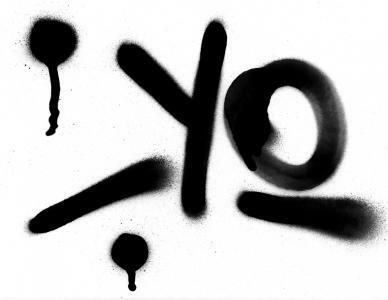 Sounds like a fad to us, but Yo has managed to survive by wisely adding some new features. These include a notification when a parcel gets delivered ("yomypackage") and alerts when an Instagram user posts a new photo ("instayo"). The evolution of Yo reminds us of how quickly mobile technology changes. Consider that the uses for mobile could not even have been imagined just a few years ago. Mindful of this, the FDIC has been researching and studying mobile financial services for some time. They're at the latest stage of their work, having released a new study of opportunities for banks to engage underserved consumers via mobile technology. These sorts of opportunities are large. The FDIC finds that 75% of all underbanked households now have access to a smartphone, and more than 33% of underbanked households used mobile banking in the past year. The FDIC finds "underbanked households are more likely to have access to smartphones and to use mobile banking than fully banked households." Importantly, the underbanked view mobile banking technology as superior to most of the traditional channels because they largely haven't been using those channels. The FDIC found underbanked consumers particularly value control over their money, convenience, affordability of their financial relationship and the ability to engage in long-term financial management. The research finds mobile banking apps were preferable for all of those goals. The only area where mobile was seen as inferior by this group is in security and customer service. At the heart of the issue is the need for more frequent updates on account balances. The research finds the underbanked group wants to know exactly what's come in and what's going out. Having greater knowledge of how much money they have allows this group to better avoid fees for account maintenance and overdraft/NSF charges. That also makes the banking relationship more affordable. One consumer in the FDIC survey even says, "Because, like I said, I can go into the grocery store and know exactly how much I can spend, instead of being up there and get embarrassed because something else came out that I forgot about--a $20 something, or overdraft fees ... It's saved me money, and it also saved me time." This speaks to the necessity of banks having an-easy-to-use app for their customers, but that's not the end of the story. When consumers want instant information about their accounts, they also begin to question why certain items haven't been processed yet. The FDIC says many of the financial institutions contacted for its study "acknowledged the need to process transactions more quickly and realize that consumers often expect to see their account balances and information updated immediately when they make a transaction." Particularly irksome to consumers is the hold times on checks deposited via mobile remote deposit capture. Of course, fraud risk is real, as is unintentional misuse when a consumer accidentally deposits the same check twice, the FDIC says. However, customers generally expect mobile deposits to be processed quickly, even faster than those at an ATM. As technology evolves, bankers can Yo the FDIC on their mobile research, while everyone recognizes mobile technology for banks sounds pretty good, yo. After trending higher through the day, yields ended down 1bp amid mixed signals from the economy (economic data, FOMC meeting minutes and the continued Brexit hangover). The Fed reports household debt was 102% of disposable income at the end of Q1 vs. 130% in late 2007. A Bank of America survey of Millennials finds their biggest financial concerns are: cost of living (61%), ability to save (58%), cost of housing (56%), finding new job (49%), taxes (43%) and losing their job (31%). A Bank of America survey finds only 10% of people say they are "tuned out to the world" while using their phones and 55% think they are good at minding their mobile manners--we all know from personal experience this data just doesn't match reality. In case you haven't been keeping track, Bank of America reported they have cut their retail branch count by about 23% over the past 7Ys to 4,690 now. US Travel Association research finds that despite the fact that 95% of Americans say using their paid time off is important to them, some 55% fail to use all of their vacation time allotted. S&P Global Market Intelligence reports that through May 31, there were 16% fewer banking industry mergers compared to the same period last year (41 deals vs. 49 in 2015).